Sophie has been struggling with complications caused by diabetes for years. 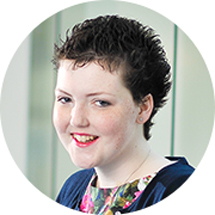 Whilst waiting for a pancreas, Sophie spent much of her time as a teenager in hospital. She finally received her transplant at the age of 18 and is doing really well. Sophie, who is from Llandeilo, South Wales, also raises money for a children's charity. The teenager is now looking forward to a normal family life and continuing to be an ambassador with Rays of Sunshine. Sophie said: "Finally getting the call to say, 'We've found you a donor organ, the RAF are on their way to collect you' was so exciting. And since my transplant I feel really, really well. Please sign up now and tell your loved ones about your wishes." "Life is the most precious gift of all. Pass it on!"